Aaron made his debut at the Edinburgh Fringe Festival in August 2016 with an hour long Mind Games show. 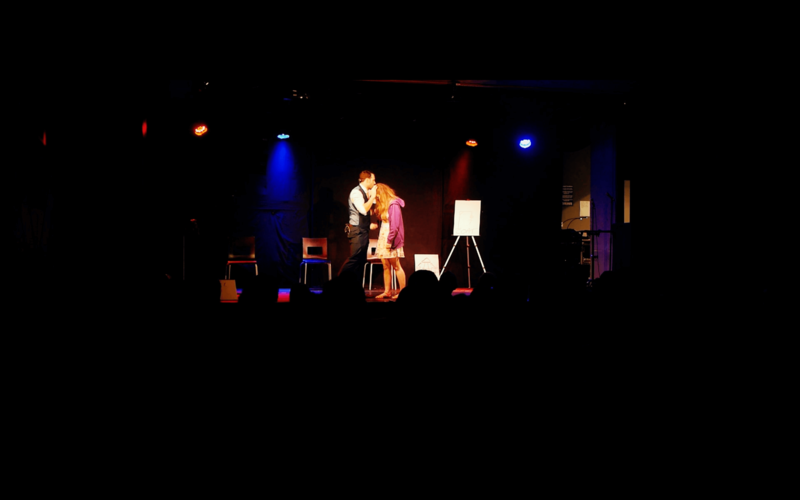 Held at La Belle Angèle, the biggest free fringe venue in Edinburgh, Aaron had a sell out show throughout the run and received a number of reviews too. You can find them all below. During our Fringe visit, we were eager to explore different genres of entertainment outside the more typical comedy and theatre remit. 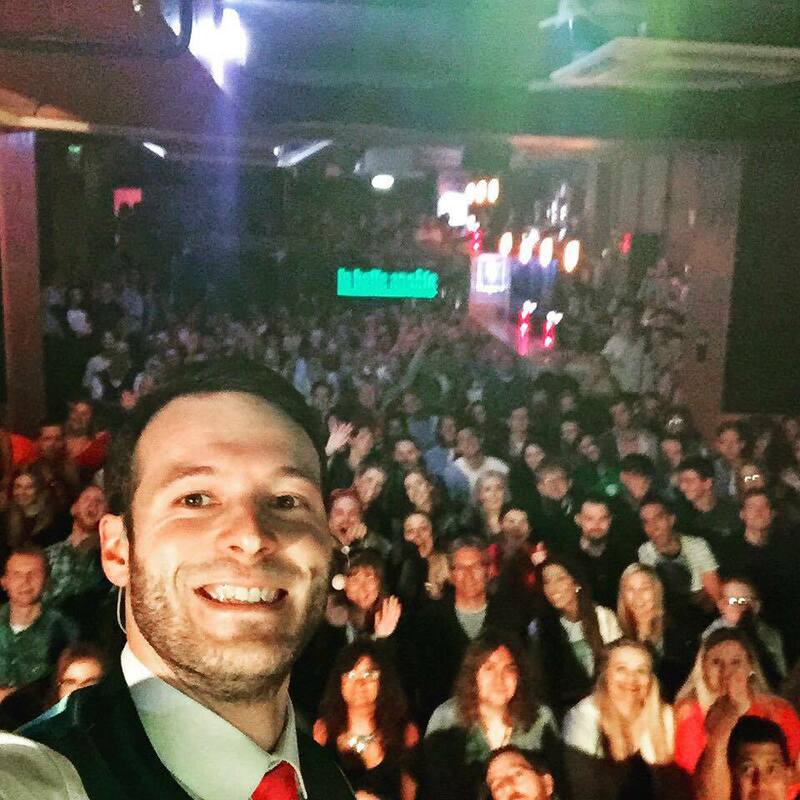 Mind reader and hypnotist Aaron Calvert was one of the acts performing at La Belle Angele in his Fringe debut. Having trained as a doctor, Manchester-born Aaron quit medicine to showcase his skills on a rather different stage. The audience featured a mix of believers and sceptics and Aaron certainly won over the crowd with his amazing skills. A range of participants brought up on stage were left lost for words as Aaron managed to extract complicated thoughts and words from their thoughts. The hypnotism was particularly hilarious as audience members lost the ability to read or say their own name. Aaron is a great showman and very talented. His show is a refreshing and quirky alternative which will leave you baffled by what you’ve just seen. Hypnosis shows can be hard to crack, with many failing to avoid the tackiness and over-dramatism that can cloud true audience belief. Aaron Calvert, in his magical show Mind Games, however, nails the balance between entertainment and mystery that is necessary for such a show to succeed. And succeed it does; the venue is filled to the door, with people even sitting on the floor around the sides of the hall. Dressed impeccably in a slick blue suit, the master of psychology holds the attention of hundreds of eyes and guides the audience through what can only be described as modern-day wizardry. Mentalism, telepathy, prediction, hypnosis… it’s all included in this incredible jaw-dropping spectacle, and all of it made to look as easy as it is to applaud in incredulity at the end of the hour-long performance. Whittling down volunteers for hypnosis based on susceptibility, Aaron Calvert demonstrates complete confidence and understanding and exacts his craft seamlessly, his routine needing no flashy lighting or sound to genuinely astound. Even those not on stage as volunteers can fully take part by letting go and succumbing to Calvert’s entrancing voice – all viewers, should they wish, can attempt to undergo hypnosis. With his subtle and natural humour as a bonus on top of his seemingly complete psychic ability, Calvert takes control not only of the stage but of the minds of the entire audience, carving a place for himself as arguably one of the most captivating acts of the Edinburgh Fringe. What do you do after studying for 5 years to become a doctor? Become a hypnotist instead! That’s what the delectable Aaron Calvert did, anyway. With smouldering good looks, a stunning physique and a quicksilver wit, Calvert had a massive audience at La Belle Angele in the palm of his hand. Looking dapper, his energy is high as he bounds around the stage from prop to prop, giving full explanation of each of the tricks. He starts by engaging the entire audience in a game of rock, paper, scissors which then (geek delight) turns into rock, paper, scissors, spock, lizard on stage with a selected audience member. He’s a psychological PT Barnum, never missing a trick (even when he seems to) and brings everything full circle. He also takes a holistic approach to hypnosis, always taking time to advise caution or focus on the benefit of the process. He promises not to embarrass or degrade any participants. I had the privilege of being brought up on stage (don’t think because you’re sitting 12 rows back that you’re going to be safe!) to be hypnotised. If you’ve never been hypnotised before, just think of it like subbing for the first time. And what a top! He had me totally at ease but also with tingles of excitement (I thought I was going to have a giggle fit on stage) and his voice and touch sent me into another place (ok, sub space) without hesitation. I felt like I was floating in water and there was nothing I wouldn’t do if instructed (as with certain other activities, trust helps). Suffice to say, it was a very enjoyable experience. The audience were totally into what he was doing and there was an electricity in the room (and it’s a big room to fill). Just a couple of niggling points. The NLP trigger words were a little pronounced and a lot of the games are familiar as in I’ve seen very similar before . But this is him at the start of his career and as he progresses I’ve no doubt he’ll grow his repertoire and become even more skilled. Failing that he can always jump careers again and become a very accomplished Dom. Performing to a sold out auditorium at Nottingham Arts Theatre, ‘Mind Games’ saw Aaron Calvert captivate a very appreciative audience with two hours of psychological mischief. Whilst none of us knew what to expect, the show delivered a continual stream of surprises that kept us guessing and ended with a major revelation, one of those ‘how is that possible! ?’ moments. 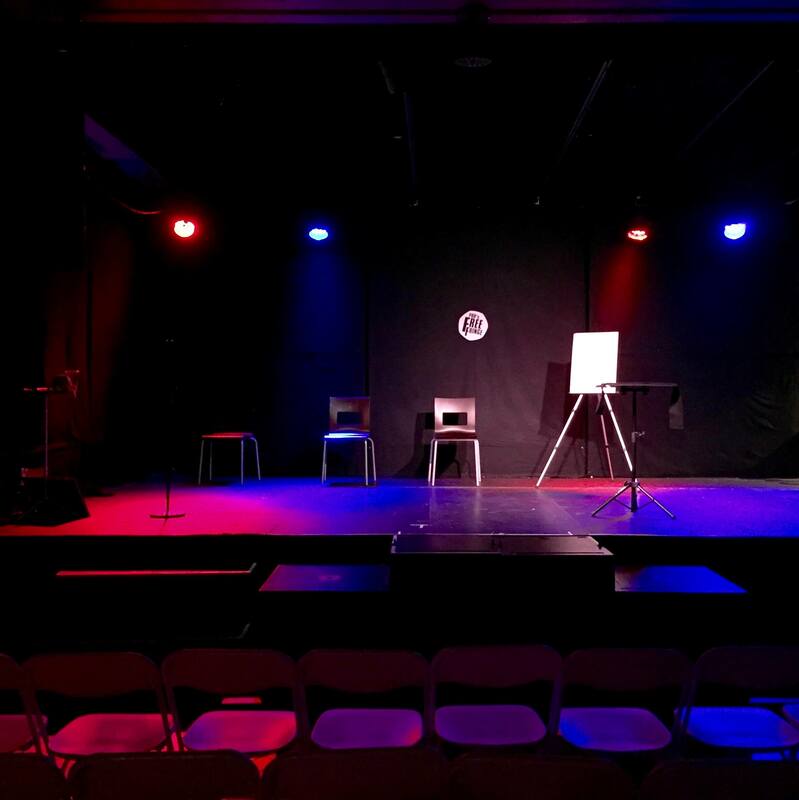 The likeably confident performer started with a series of guessing games, where patterns, names and memories of the audience were pitted against him in a series of ‘will he or won’t he?’ moments. We shouldn’t have doubted, he got them all with no hint of a trick, and left us with one of the greatest feints I’ve seen. Although always impressive, it sometimes felt a bit slow getting audience members up onto and down from the stage, but Calvert’s charisma kept things running and he was never flustered, despite some technical difficulties. If the first half was good the second was spectacular, as Calvert used hypnosis but without humiliating any of the participants; a trope which often adds a sour note to these shows. He peddled through expert manipulation and finished with a Frisbee throwing spectacular. The use of audience members throughout was a nice touch that kept the show authentic, though sometimes segments could be more awkward than planned simply due to the members involved. Mind Games is an excellent new show with a few kinks to iron out, which shall no doubt happen as the tour progresses. The finale performance of Aaron Calvert’s Mind Games did not disappoint. The atmosphere was positively electric as we sat there in the glow of bright lights positively counting the seconds for the confident and charismatic figure of Aaron Calvert to bound upon stage and warmly welcome us all to his final Manchester show. Immediately likeable, Aaron’s confidence and buoyancy continued to appeal and gain the trust of his enthusiastic audience at every step. It was truly entrancing to watch this UoN’s Medical student perform his acts with the utmost precision to ensure a flawless and fluid performance throughout the night. His boyish smile along with his incorporation of entertaining and personal anecdotes helped the show’s radiance to exceed standard levels. From nostalgic references to his childhood, to determining audience member’s predictions, Aaron, it seemed mastered it all! Audience participation was paramount throughout the show for Mind Games to succeed and it was enjoyable to sit amongst an appreciative audience who did not disappoint. Their willingness to participate made the experience an enjoyable one for all present, allowing the show to flourish and remain sustained throughout the whole night. Aaron’s charisma captivated the audience in making them feel as involved with his performances as the willing volunteers who joined him upon stage. This Manchurian did his home city proud with his infusion of psychological skill and humour which went down a treat. I loved how the unexpected became possibilities which left his audience positively awestruck and half hanging out of our seats in astonishment. The second half was as mesmerising as the first as the audience became fully involved and subjected to Aaron’s hypnosis. As I felt myself obeying his instructions and slowly sinking irrevocably into a state of tranquillity my heart was racing faster than its normal speed in anticipation at what was to happen next. He continued to visibly stun his willing volunteers up until the last second of his finale and there was no doubt that Aaron Calvert is a true connoisseur of psychological hypnotism and predictor of human behaviour. I was utterly blown away by Calvert’s final act and as the last cheers died down I sat there in a state of ecstatic disbelief with the question, ‘how did he do it?’ repeatedly racing through my mind. Who knows indeed, all I was certain of as I left the Altrincham Garrick Playhouse positively tingling from the continuous surprises tonight offered, was how many will be excited to see Aaron return in the near future. I definitely am. In 2012 Aaron met Sam Fitton and this creative team set about writing the very first show that would become Mind Games. Filling 3 nights at the Nottingham Arts Theatre in early November, over 900 people saw the first show and following it’s success they set about arranging a tour. Below is the review from the 2012 Mind Games show. Aaron Calvert is a third year medic from Nottingham University. After three years of practicing the art of hypnotism, his new show Mind Games has landed at Nottingham Arts Theatre – and it’s definitely a night not to miss. 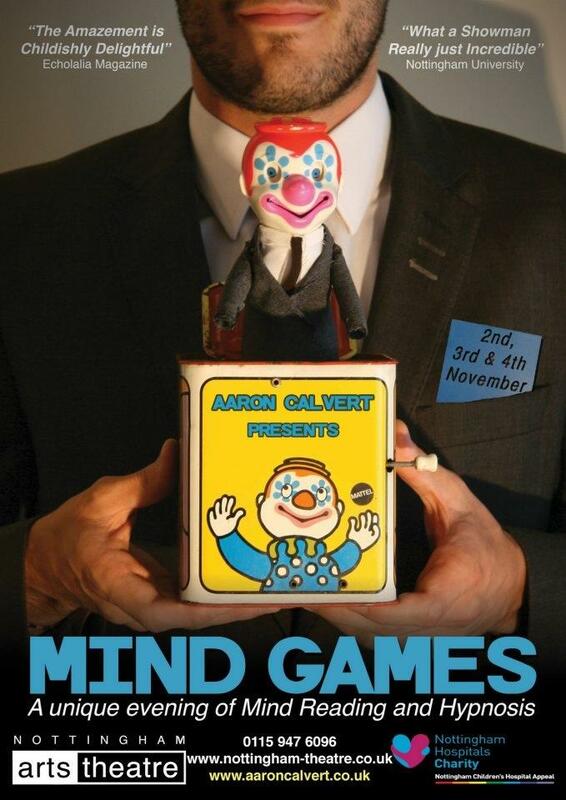 In the cosy backdrop of Nottingham Lace Market, Mind Games offers a night of intrigue, exceptional showmanship and many moments of unexpected humour. Aaron’s main inspiration when entering the industry was Derren Brown and his influence was very present throughout the show, however Mind Games offers a fresh and funny take to this kind of performance; his aim to create a fun ‘game’ for the audience was what inspired the title for his showcase. He combined awe inspiring mind manipulations and humorous audience participation to create a fast moving performance, keeping us (literally) locked to our seats! One of the more ambitious moments of the show involved Aaron attempting to hypnotise the entire audience. Even if you yourself are not placed under his spell, you are still guaranteed a good giggle watching your fellow audience members helplessly biding to his every will. Due to the random nature of selecting participants, Aaron tells us that each night will be different, so you never know what to expect! When meeting Aaron after the show, we discovered he is a very likeable guy who believes that confidence and an ease with people are paramount when considering a career on stage. He encourages anybody who is considering such a life-style to talk to him, admitting that he himself had no professional training, but instead took an interest to the human psychology of those around him, and the influence he could have on them. Unsurprisingly, Aaron’s skills as a hypnotist have not been confined to his professional stage performances. He admits to having some fun with his helpless house mate during his time at university. He goes on to tell us that for at least a month, his friend cheered after finishing each bowl of cereal. Despite this, he promises to have never used his talents to pick up girls! After Mind Games has completed its three day run, he has secured a contract to allow him to tour Britain and the United States after graduation. This young, talented man is bound to rise to fame in the future.